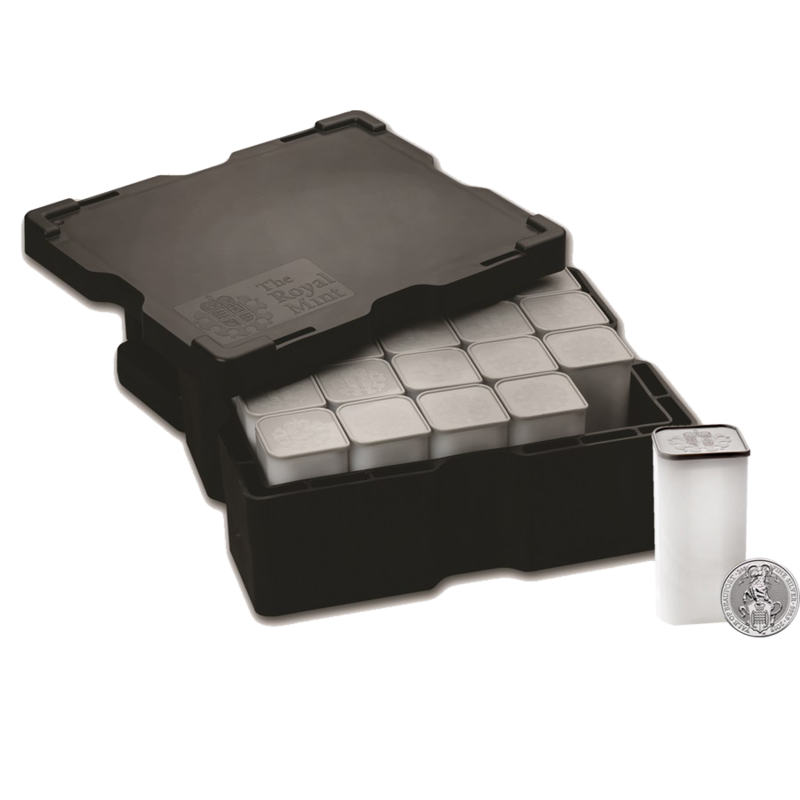 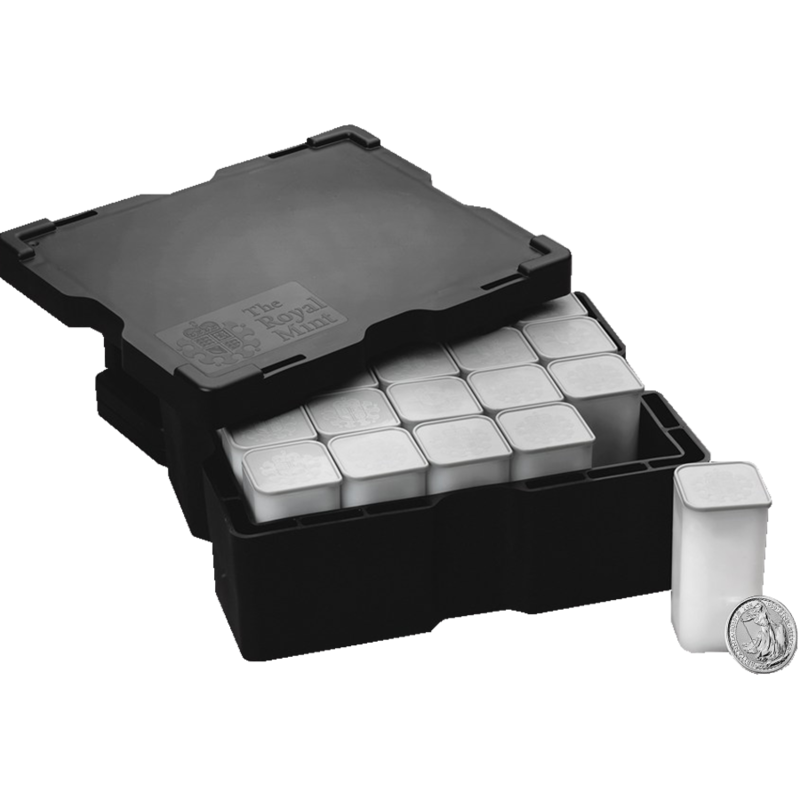 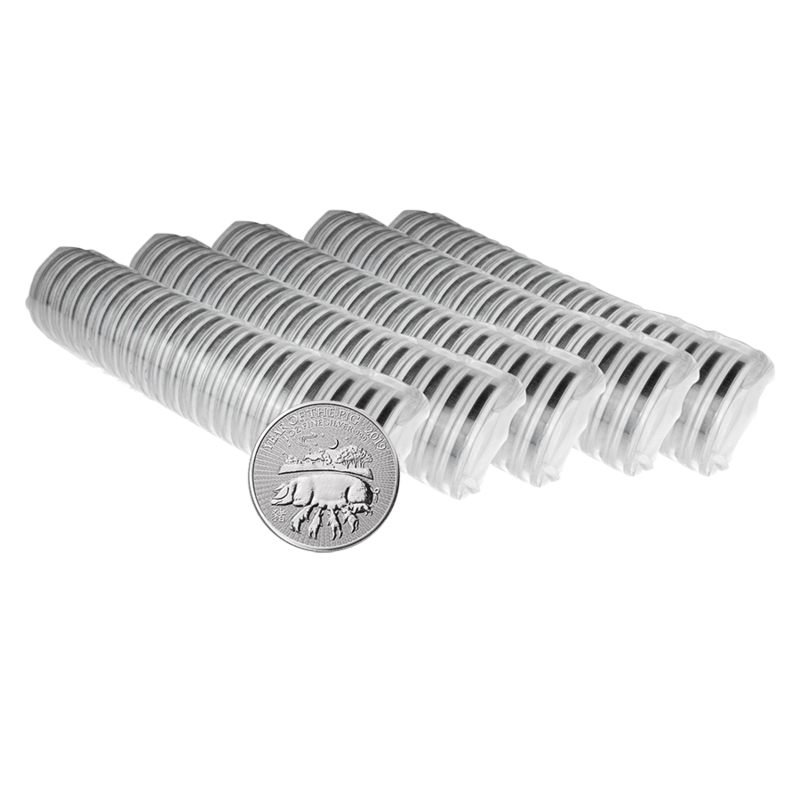 This 200 coin collection of the 2019 UK Queen’s Beasts The Flacon of the Plantaganets 2oz Silver Coin is supplied in official mint monster box and tubes. 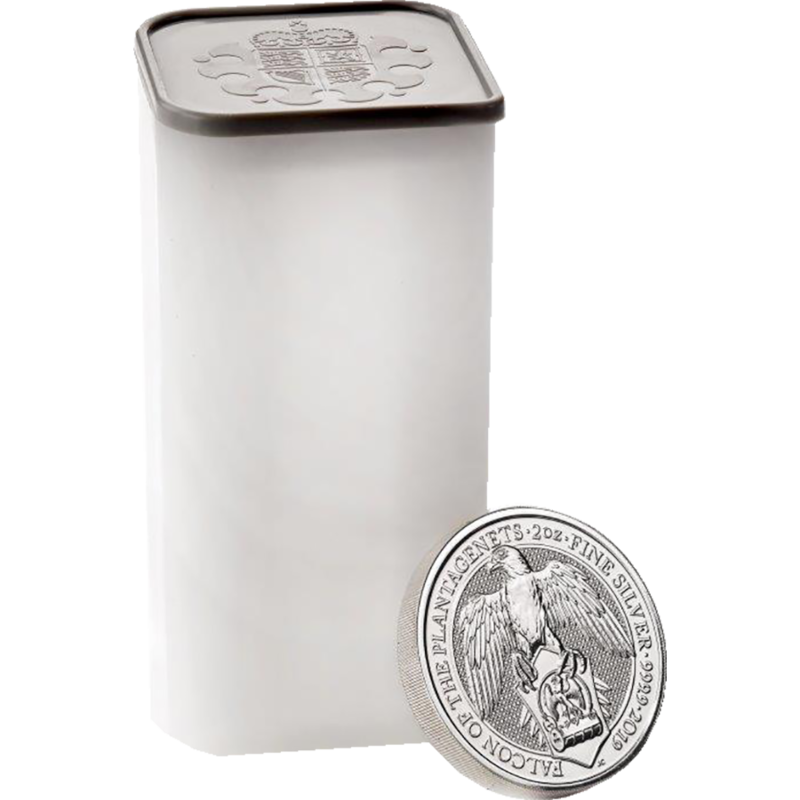 The 2019 UK Queen’s Beasts The Falcon of the Plantaganets 2oz Silver Coin is the sixth release from the exclusive bullion range from The Royal Mint, featuring an original reverse design. 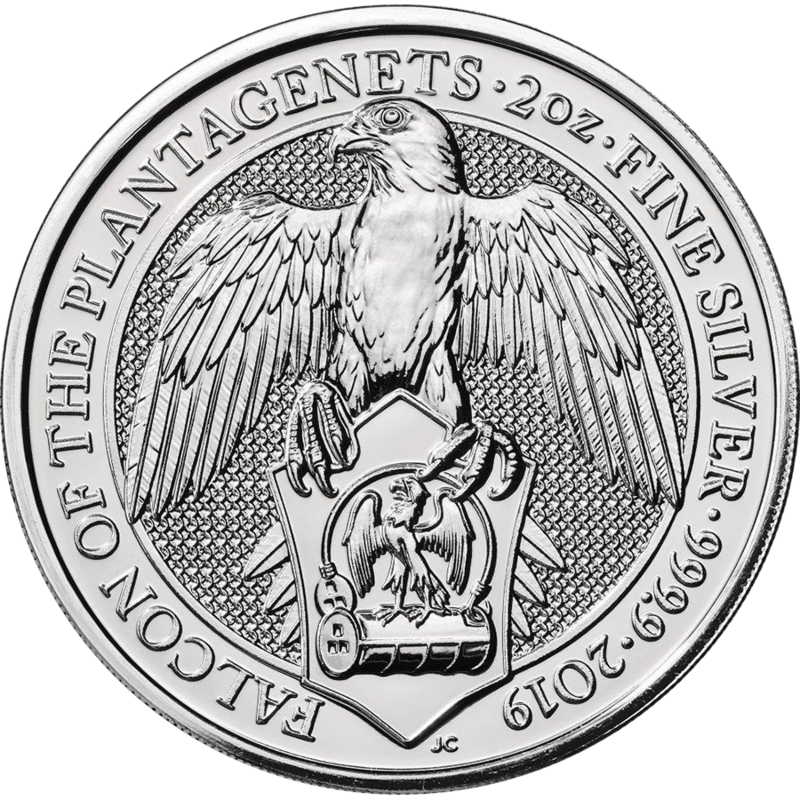 The coin's reverse features a stylised version of the Falcon of the Plantaganets, holding a shield depicting a falcon within an open golden ‘fetterlock’ or padlock. 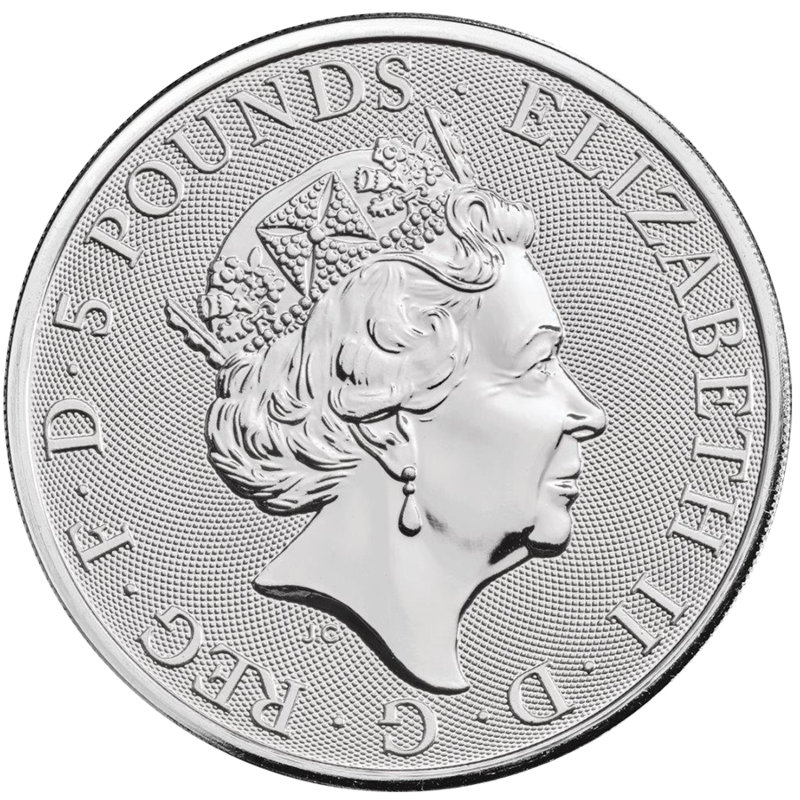 The year-date and ‘Falcon of the Plantaganets’ also feature. 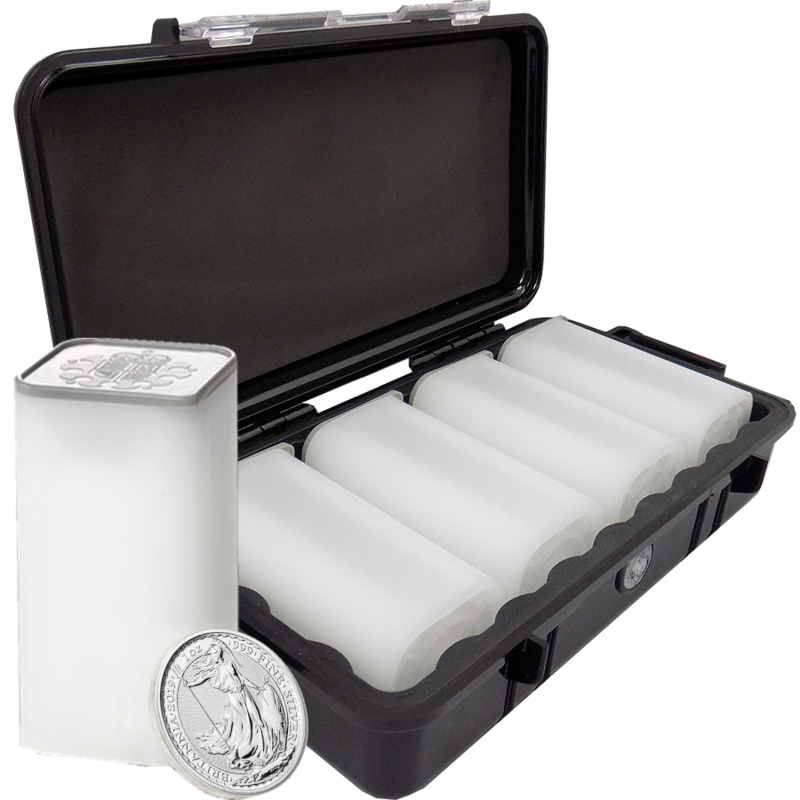 Total weight of the bundle is 400 Troy Ounces.